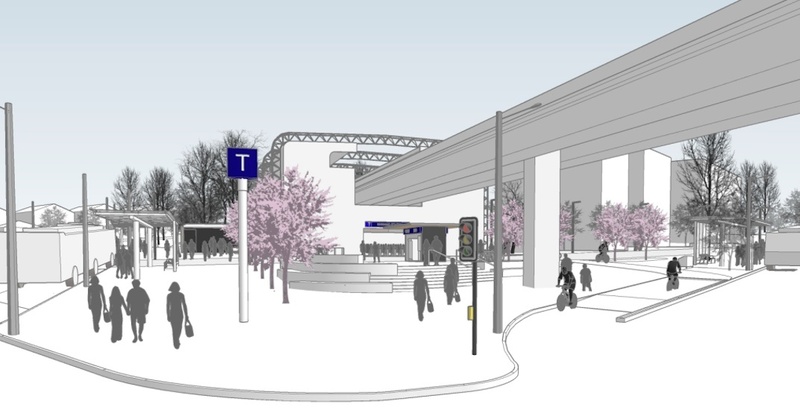 Major improvements are coming to the bus loop serving SkyTrain’s Nanaimo Station this year, with construction on the project starting this month. 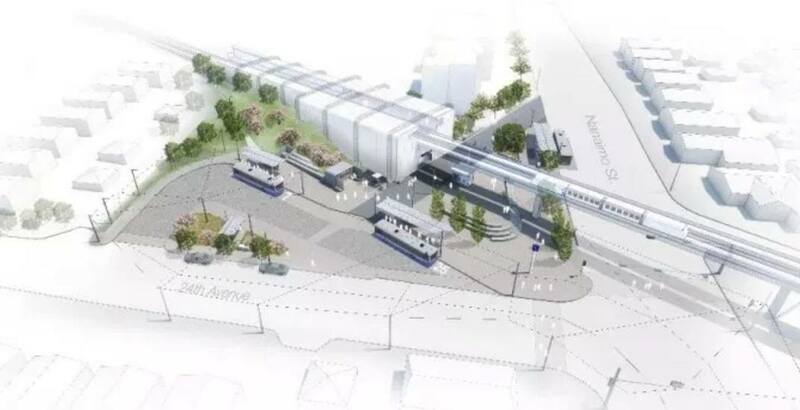 TransLink says it will be rebuilding the bus exchange with a new, more efficient design and new features, including new bus shelters and benches, landscaping, a new hardscape plaza to reduce crowding, and enhanced lighting. It places the northbound No. 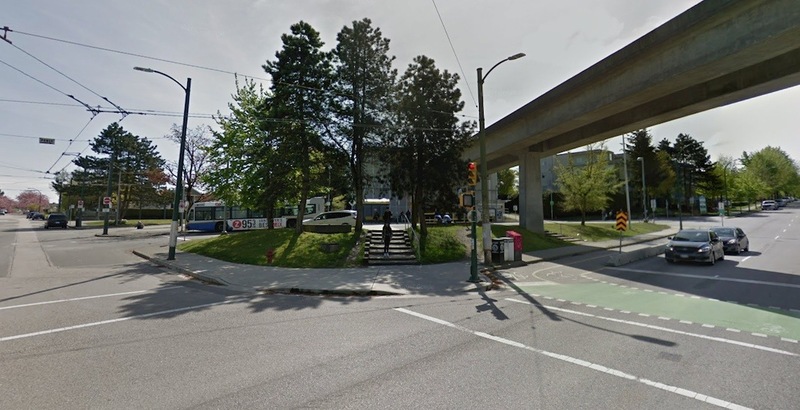 25 bus stop on Nanaimo Street and the southbound No. 25 and No. 7 bus stops within a redesigned inner loop on the edge with 24th Avenue. 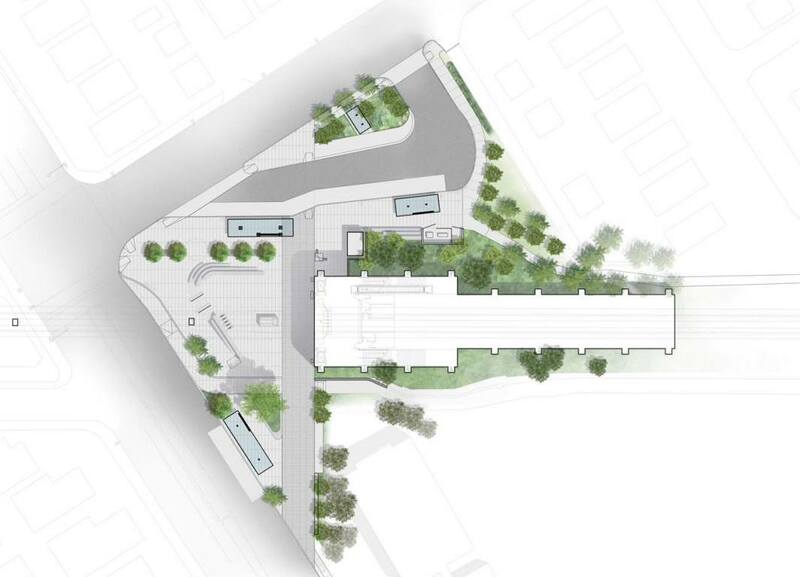 The complete redesign is anticipated to improve passenger comfort, transfers between bus and SkyTrain, and safety. To allow for construction, all bus stops have temporarily moved to on-street locations on Nanaimo Street and 24th Avenue until further notice. And during the first half of the construction timeline, the No. 7 trolley route will be served by diesel buses. Data provided by the public transit authority indicates Nanaimo Station has 4,600 bus boardings and 6,700 train boardings per weekday. The No. 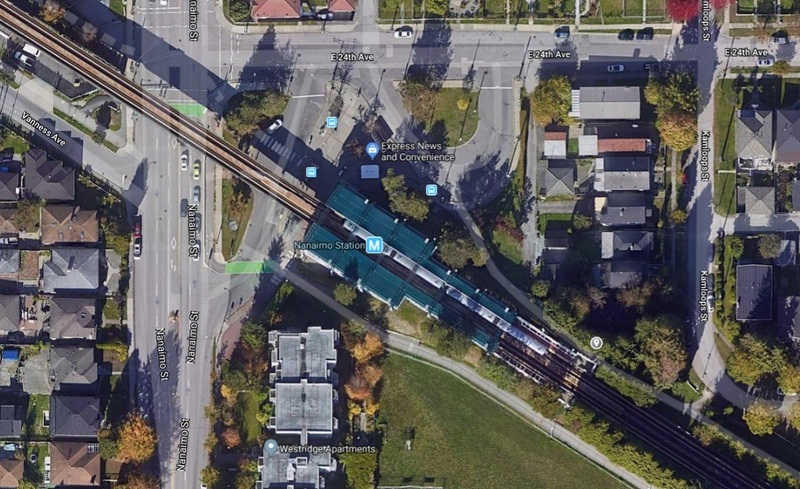 25 running between UBC and Brentwood Station is also TransLink’s fifth busiest bus route. Construction is slated to reach completion in Fall 2019.